- Protozoal infections caused by flagellates as trichomoniasis (Canker) and hexamitiasis. Pigeons, cage birds and falcons. Protozoal infections caused by flagellates as trichomoniasis (Canker) and hexamitiasis. 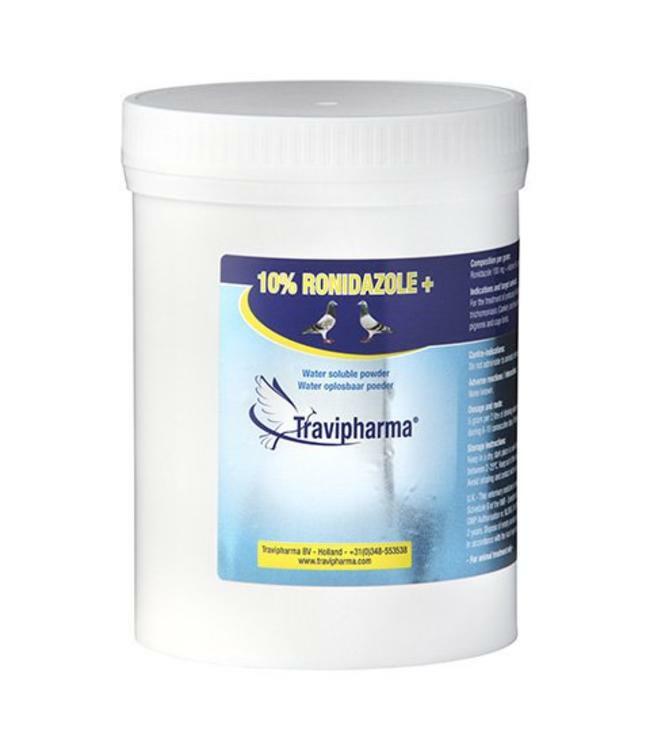 Do not administer in case of hypersensitivity or resistance to Ronidazole. Do not administer to animals intended for human consumption. Do not use in animals intended for human consumption. Clean the drinking pots thoroughly in order to prevent re-infection. Avoid placing drinking water in the sunlight.